When launching a massive load, you need a huge rocket, such as United Launch Alliance's (ULA) Delta IV Heavy rocket that will carry a payload for the National Reconnaissance Office (NRO). Lift-off from ULA's Space Launch Complex-6 on December 7 at 8:19 p.m. PT. 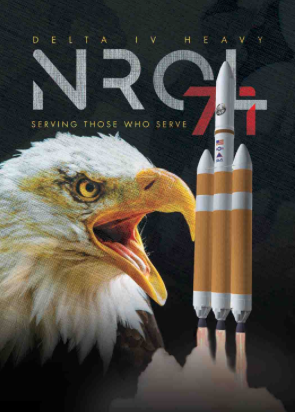 Designated NROL-71, the mission is in support of national defense. The Delta IV Heavy is the nation’s proven heavy lifter, delivering high-priority missions for the National Reconnaissance Office, U.S. Air Force and NASA. To date ULA has a track record of 100 percent mission success with 131 successful launches. With more than a century of combined heritage, ULA is an experienced and reliable launch service provider. ULA has successfully delivered more than 130 satellites to orbit that provide Earth observation capabilities, enable global communications, unlock the mysteries of our solar system, and support life-saving technology.